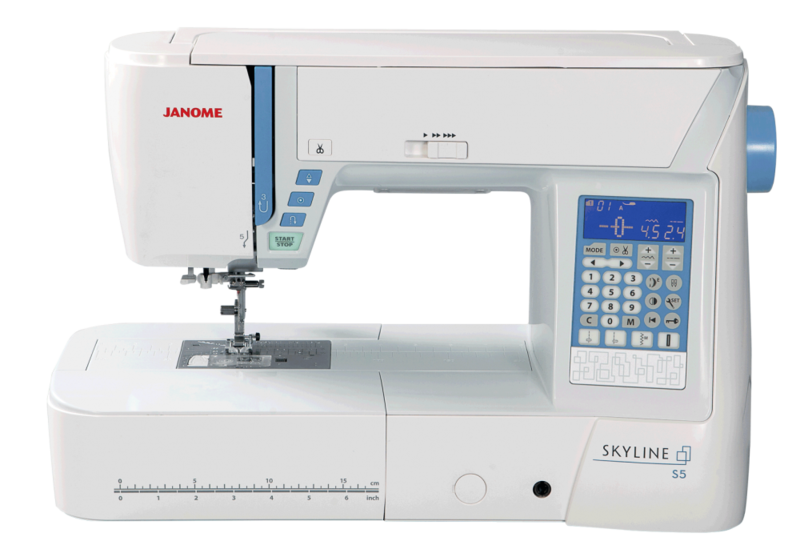 The Skyline S5 includes the features to take your sewing to a new level. A spacious bed provides room for larger quilting and home dec projects while its easy convenience features like Automatic Thread Cutter and Memorized Needle Up/Down will save you time and make your sewing easier. This computerized machine has top of the line features at a mid-level price. Take your sewing to new heights with the Skyline S5.